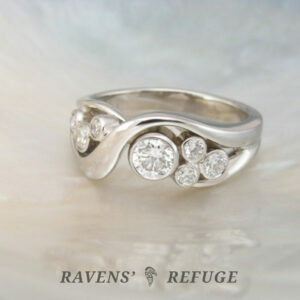 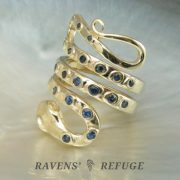 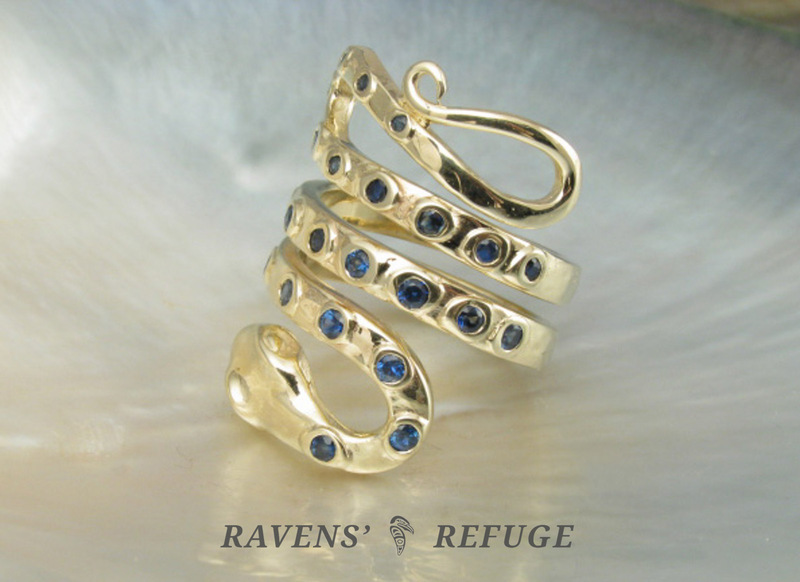 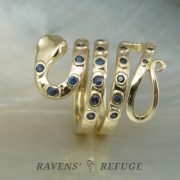 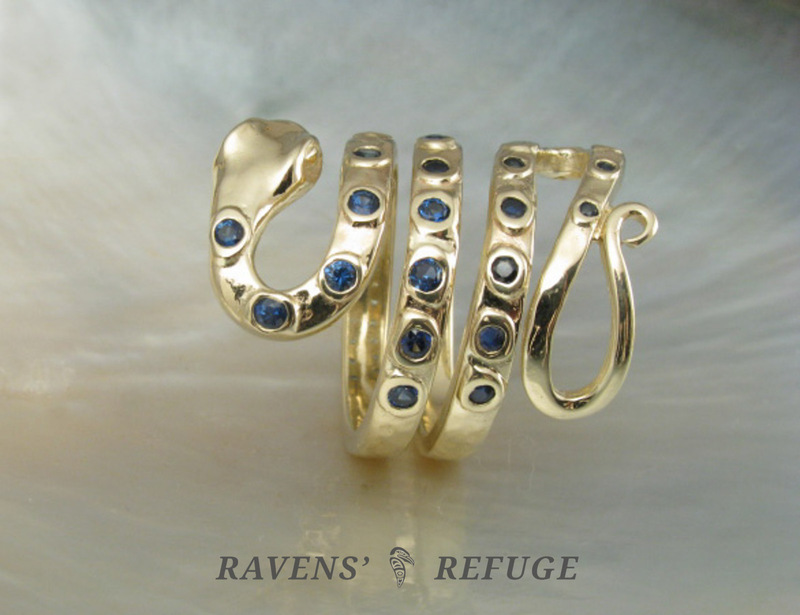 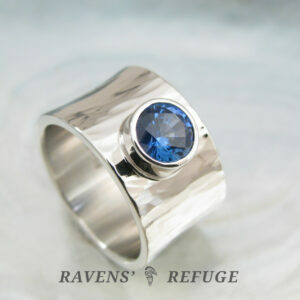 Fantastic and fun, this ring will slither along your finger in the most delightful way. 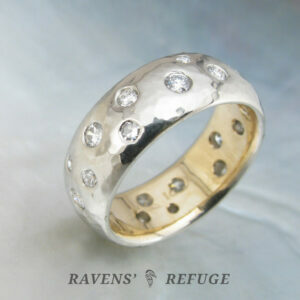 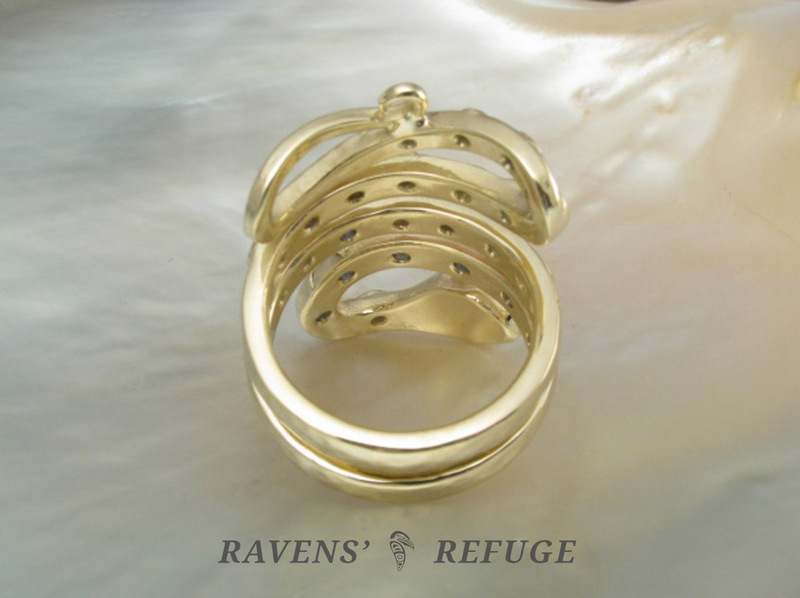 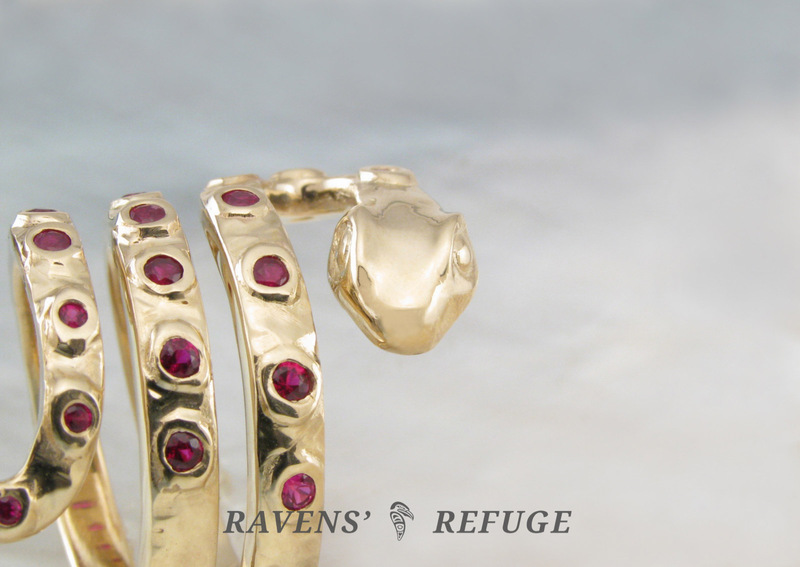 With approximately 17 grams of 14k gold (a little over half an ounce), it is a solid piece – and extremely comfortable! 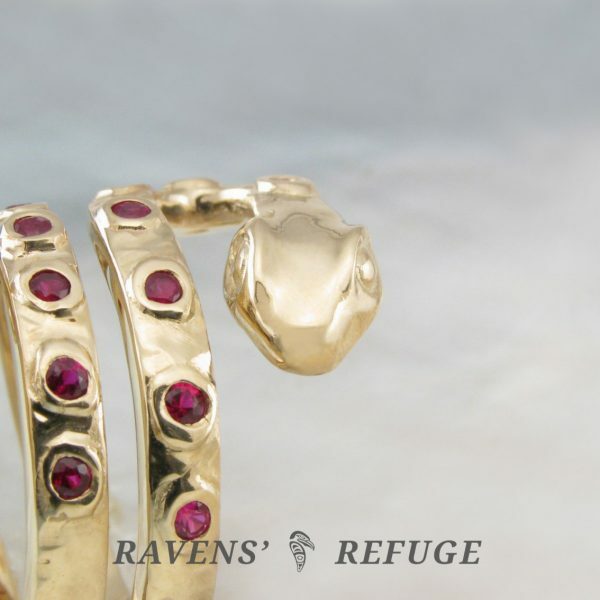 Dan will bezel-set 24 rubies or sapphires in the ring, your choice, that range from 1.5mm to 2mm and amount to approximately 1.3 carats, total weight. 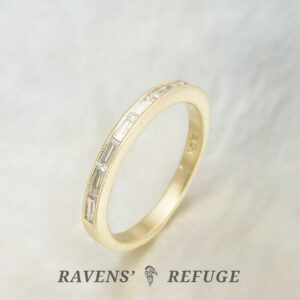 The hammered band is 1.9mm thick at its thickest point and tapers to either side. 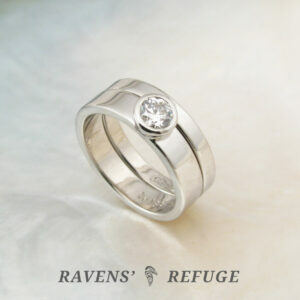 Made and set in an intentionally rustic handmade style for an organic feel.